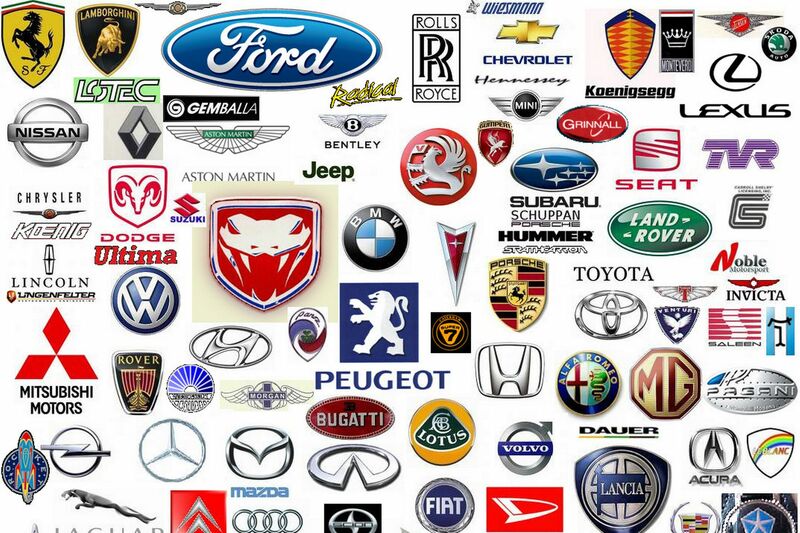 Pick a Car, Any Car...!! The cache is not hidden at the above co ords. No information is there... Most of us can remember the first car we had, and even it's registration...but how many of us know how long these car manufacturers have been in business for..? Correction..! !....Pick two Car manufacturers and place the date they were founded that's next to them into the geochecker....what could be simpler than that..!! Japan Acura (1986) Spain A.D. Tramontana (2007) Italy Alfa Romeo (1910) Australia Amuza (1997) United States Anteros (2005) United Kingdom Arash (2006) United Kingdom Ariel (2001) Poland Arrinera (2008) Germany Artega (2006) United Kingdom Ascari (1995) Japan ASL (1947) Portugal United Kingdom Aston Martin (1913) Germany Audi (1932) United Kingdom BAC (2009) India Bajaj (1930s) China Beijing Automobile Works (1958) United Kingdom Bentley (1919) Italy Bertone (1912) Germany BMW (1916) France Bolloré (1822) Australia Bolwell (2009) China Brilliance / HuaChen (2003) United Kingdom Bristol (1945) Brazil BRM Buggy (1969) Norway Buddy (1991) Malaysia Bufori (1986) France Bugatti (1998) United States Buick (1903) China BYD (2003) United States Cadillac (1902) United Kingdom Caparo (2006) Australia Carbontech (2005) Netherlands Carice (2014) China Chang'an (1950s) China Changhe (1973) China Chery (1997) United States Chevrolet (1911) New Zealand Chevron (1980) France Citroën (1919) United States Chrysler (1925) Italy Covini (1978) Romania Dacia (1966) Japan Daihatsu (1907) United States DMC (1975) United States Devon (2008) Turkey Diardi (1987) United States Dodge (1915) Netherlands Donkervoort (1978) China Dongfeng (1969) Argentina Donto (2010) Canada Dynasti Electric Car Corp. (2001) Australia E-Vade (2008) Italy Effedi (1979) Egypt Egy-Tech Engineering (1997) Finland Electric Raceabout (2009) Australia Elfin (1957) China Emgrand (2009) China Englon (2010) United Kingdom Eterniti (2010) Turkey Etox (2006) United States Equus (2009) France Exagon (2009) Italy Faralli & Mazzanti (2011) China FAW (1953) Italy Ferrari (1947) Italy Fiat (1899) United States Fisker (2007) China Foday (1988) India Force (1958) United States Ford (1903) Australia Ford Australia (1925) Germany Ford Germany (1925) Italy Fornasari (1999) China Geely (1986) United Kingdom Gibbs Belgium Gillet (1994) United Kingdom Ginetta (1958) China Gleagle (2008) United States GMC (1912) China Gonow (2003) China Great Wall / Changcheng (1984) United Kingdom Grinnall (1980s) Spain GTA Motor (2005) Germany Gumpert (2004) China Hafei (1950) India Hindustan (1942) Australia Holden (1856) Japan Honda (1946) China Hongqi (1958) Canada HTT Technologies (2007) South Korea Hyundai (1947) Spain IFR (2003) Iran Iran Khodro / IKCO (1962) Belgium Imperia (2009) Japan Infiniti (1989) United Kingdom Invicta (2004) Germany Isdera (1969) Japan Isuzu (1916) Czech Republic Kaipan (1991) Sweden Koenigsegg (1994) Greece Korres (2002) South Korea Kia (1957) Indonesia Kiat (2007) Iran Kish Khodro (1996) Austria KTM (1992) Russia Lada (1966) Italy Lamborghini (1963) Italy Lancia (1906) United Kingdom Land Rover (1948) China Landwind (2004) Switzerland LeBlanc (1999) Poland Leopard (2005) Japan Lexus (1989) United States Li-ion (2000) China Lifan (1992) United Kingdom Lightning (2007) United States Lincoln (1917) United Kingdom Lister (1954) United States Local Motors (2007) Brazil Lobini (1999) Germany Lotec (1962) United Kingdom Lotus Cars (1952) Taiwan Luxgen (2009) India Mahindra (1945) Russia Marussia (2007) India Maruti Suzuki (1981) Italy Maserati (1914) Mexico Mastretta (1987) Japan Mazda (1920) United Kingdom McLaren (1989) Germany Mercedes-Benz (1926) United Kingdom MG (2006) Sri Lanka Micro (1995) United Kingdom MINI (1969) Japan Mitsubishi (1870) Japan Mitsuoka (1968) United Kingdom Morgan (1910) China Mycar (2003) Japan Nissan (1933) United Kingdom Noble (1999) Australia Nota (1952) Germany Opel (1862) South Africa Optimal Energy (2005) Liechtenstein Orca (2003) Italy Pagani (1992) United States Panoz (1989) South Africa Perana (2007) Malaysia Perodua (1993) France Peugeot (1882) France P.G.O. (1985) China Polarsun (2009) Germany Porsche (1931) South Korea Proto / Oullim (1997) Malaysia Proton (1983) United Kingdom Radical (1997) France Renault (1899) India REVA (1994) Croatia Rimac (2009) Switzerland Rinspeed (1979) Germany Roding (2008) China Roewe (2006) United Kingdom Rolls-Royce (1906) Brazil Rossin-Bertin (2011) United States Rossion (2008) Sweden Saab (1947) China SAIC-GM-Wuling (2002) Iran SAIPA (1966) New Zealand Saker (1989) South Korea Samsung (1994) India San (1998) Switzerland Sbarro (1971) Spain SEAT (1950) China Shanghai Maple (2000) United States Shelby SuperCars (1999) Czech Republic Škoda (1895) Germany Smart (1994) Netherlands Spyker (1999) France De La Chapelle (1970) South Korea Ssangyong (1954) Japan Subaru (1953) Japan Suzuki (1909) India Tata (1945) Spain Tauro (2010) Malaysia TD Cars (1986) United States Tesla (2003) Japan Toyota (1937) United Kingdom Trident (1999) Brazil Troller (1995) China Trumpchi (2010) United Kingdom TVR (1947) United States Vector (1971) Netherlands Vencer (2010) Monaco Venturi (1984) Ukraine VEPR (2002) Germany Volkswagen (1937) Sweden Volvo (1927) Lebanon W Motors (2012) Tunisia Wallyscar (2007) United Kingdom Westfield (1982) China Wheego (2009) Germany Wiesmann (1988) N53 1?.??? W002 3?.??? Congratulations to Bazonka for your epic FTF.